Dry skin and underlying skin issues affect your lifestyle and create extra stress. I probably know this better than anyone, as I have dealt with not only my skin issues but my two-year-old daughter, Ava’s skin issues too. I have suffered from persistent acne on my chin and borderline eczema on my hands for as long as I can remember. I can’t begin to emphasize how much these skin issues have bothered me throughout my life. 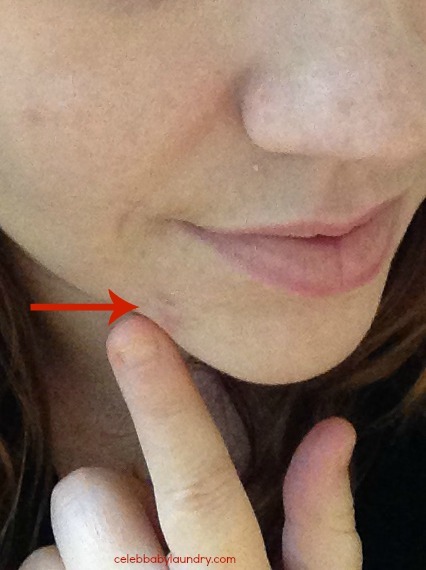 I am extremely self-conscious of my chin acne and it’s embarrassing to constantly have big red marks on it. Because of these issues, I have had to pay special attention to my skin since a teenager. In my early 20’s, I even had a skin peel to help my skin and take away some of the minor scarring on my chin. To keep everything under control I still follow a healthy routine of cleansing followed by applying moisturizer twice a day to my face. Likewise, I am conscious about applying moisturizer to my hands. 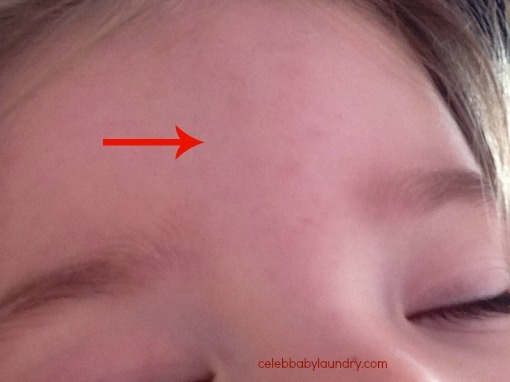 Ava’s skin is sensitive and from the time she was a baby she would often break out in little spots and have extremely dry skin. Having skin issues myself, when she was born I made sure to buy special personal care products for her. Yet, even with using natural cleaners and skin care products her skin would still get dry. She truly needs the right sensitive and fragrance-free formula to keep her skin soft. I was given the opportunity to test out CeraVe, a skincare brand which is developed alongside dermatologists. Their line of products are recommended for the face and body to address not only dry or oily skin but also as a skin care regimen suitable for those with skin conditions such as eczema, psoriasis, acne, rosacea and atopic dermatitis. The great thing about CeraVe‘s new skincare line is that it has an AM Facial Moisturizing Lotion with SPF 30 and a PM Facial Moisturizing Lotion which are formulated specially for each time of the day. Unique to these moisturizers, is a formula that contains essential ceramides, cholesterol and fatty esters that healthy skin needs, delivered through a patented controlled-release MVE® system over 24 hours. They also work well with the CeraVe Facial Cleanser. The first thing I noticed when using the products for the first time is that they’re fragrance-free which usually means a lot less irritating. This is definitely a huge plus when it comes to using the products on my daughter. Fragrance and her just don’t go together because the chemicals irritate her sensitive skin. I really enjoy using a lotion that is specifically designed to be used during the day. It contains SPF 30, which helps protect you from the suns harmful rays all year long while reducing the appearance of oil. I found that the AM Facial Moisturizing Lotion with SPF 30 is also perfect as a under base for my makeup because of its light texture. The PM Facial Moisturizing Lotion complements the AM Facial Moisturizing lotion with SPF 30. I combine it with my nightly regime of cleansing my face with various products that help with my acne. I find that it continually helps to repair, replenish and protect my skin while leaving it looking clean and healthy. I generally find a lot of night creams are heavy, but I liked the AM Facial Moisturizing lotion with SPF 30, the PM Facial Moisturizing lotion‘s texture is light. Therefore, the lotion doesn’t block my pores which is a must since my skin is prone to pimples and blackheads. For Ava, I apply the CeraVe Moistrizer once a day. Like the two other lotions, the moisturizing cream features a unique, patented MVE® delivery technology. Essentially, it provides long-term moisturizing benefits to nourish skin throughout the day so that the cream does not need to be applied frequently. The moisturizer can be used on all areas of her body and is safe to use on children under the age of 1. The reason it’s so perfect on my daughter is because the moisturizer is designed to create a healthy barrier that prevents and reduces severity of dry skin and flare-ups of underlying skin conditions. It has helped with her skin redness she gets on her forehead and has made her dry skin extra soft. Since using the cream, her skin also holds and distributes moisture much better. I also use the moisturizer daily on my hands to keep my hand dryness at bay. I love that the rich formula spreads easily and smoothly. Unlike, many moisturizers it absorbs rapidly, and never feels greasy. CeraVe products can be bought at all major drug, grocery and mass retailers. Besides, the products mentioned, CeraVe makes skincare products for all types of skin. To learn more about there other products visit their online website. Disclosure: This post was brought to you by CeraVe Canada via SheBlogs. The opinions expressed herein are those of the author and are not indicative of the opinions or positions of CeraVe Canada.